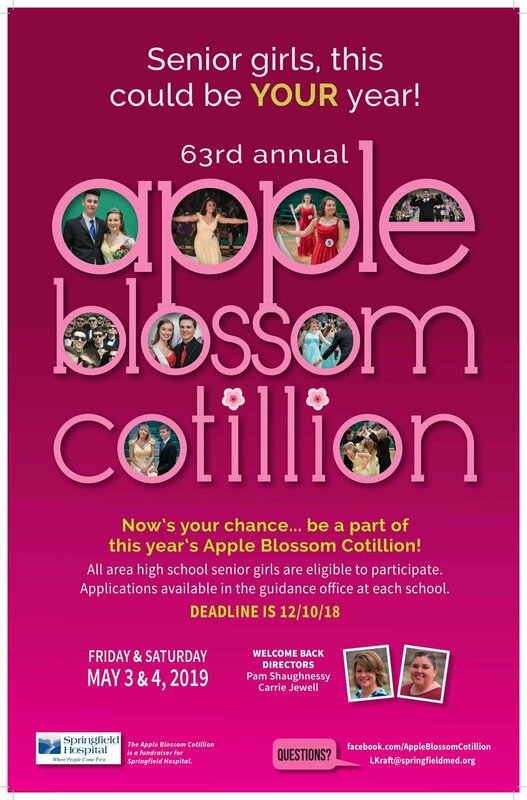 Springfield Hospital is now accepting applications for the 63rd Annual Apple Blossom Cotillion. Now is your chance to be part of this special event, which raises money for your local community hospital. All area students are eligible to participate. Applications are available in each high school, or you can download them. The deadline is December 10, 2018. Applications are also available for the “future Cotillionnaires”. These students much be in grades Kindergarten through 4th. If you have any questions, please contact Larry Kraft at 802-885-7644 or lkraft@springfieldmed.org.